J.R.R. 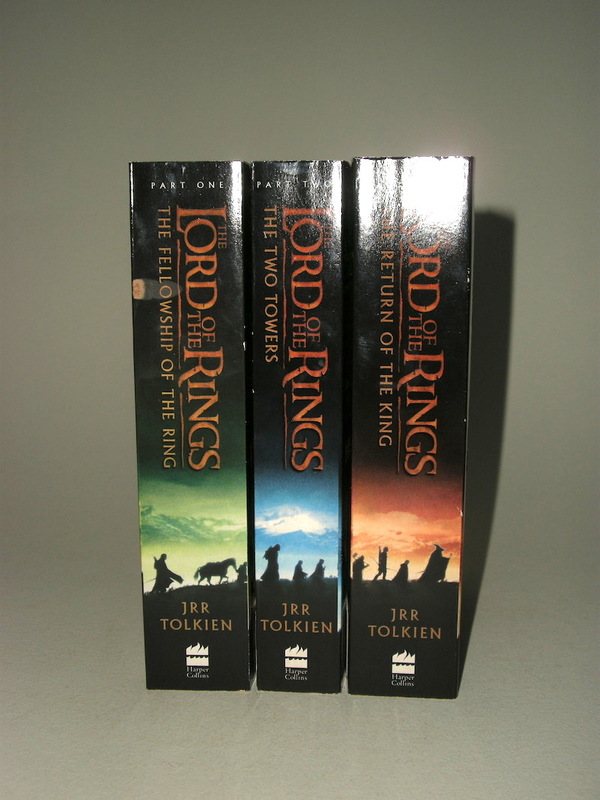 Tolkien, The Lord of the Rings movie tie-in released in 2001 by HarperCollins. This set includes: J.R.R. 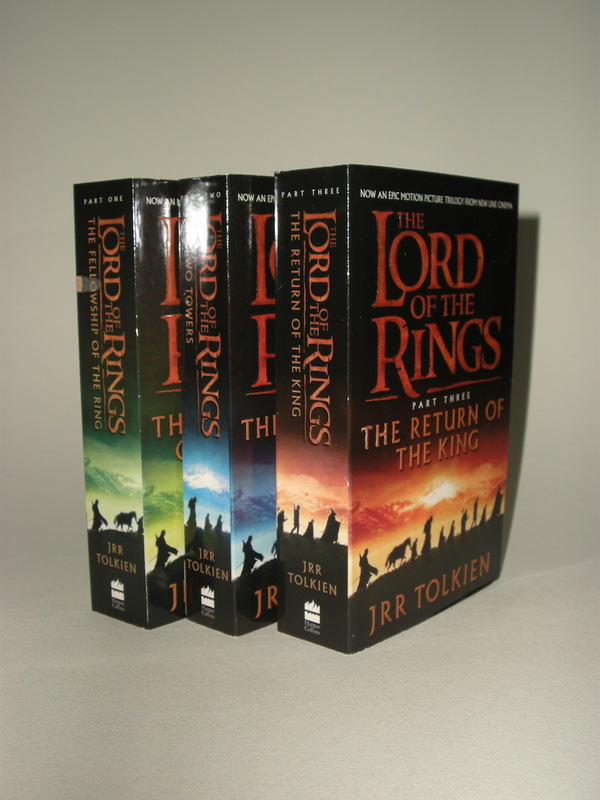 Tolkien's The Fellowship of the Ring, The Two Towers and The Return of the King. The Fellowship of the ring has ISBN 0 00 712382 5 and published by HarperCollins in 2001, 2nd impression. The Two Towers has ISBN 0 00 712383 3 and published by HarperCollins in 2001, 2nd impression. The Return of the King has ISBN 0 00 712380 9 and published by HarperCollins in 2001, 2nd impression. 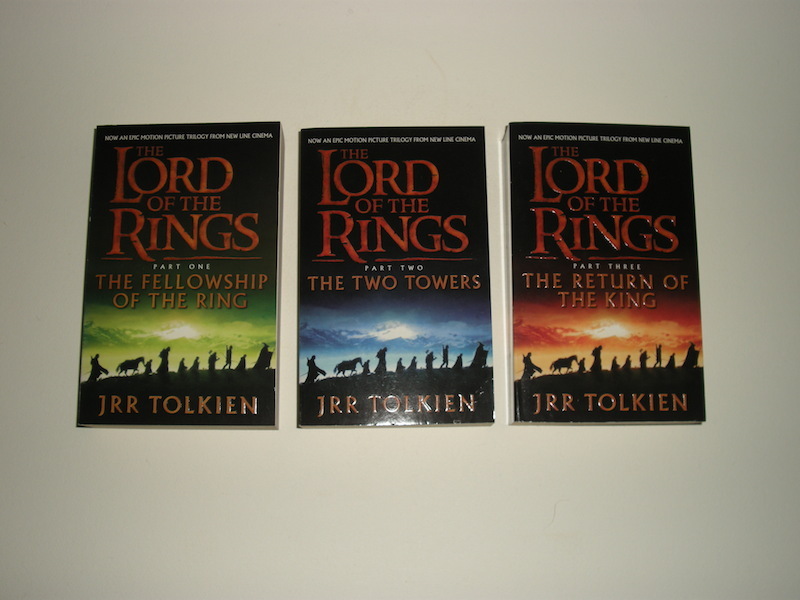 Book covers with New Line Cinema image of The Fellowship in green, blue and red. Of this edition no more than three impressions were issued and was also released in a slipcase with same movie image (and ISBN 000714914X). These paperbacks are in brand new unread condition.